Have you ever wanted to get rich watching colorful Ducks swim down rivers? Yeah, me too. Well, now anyone can! 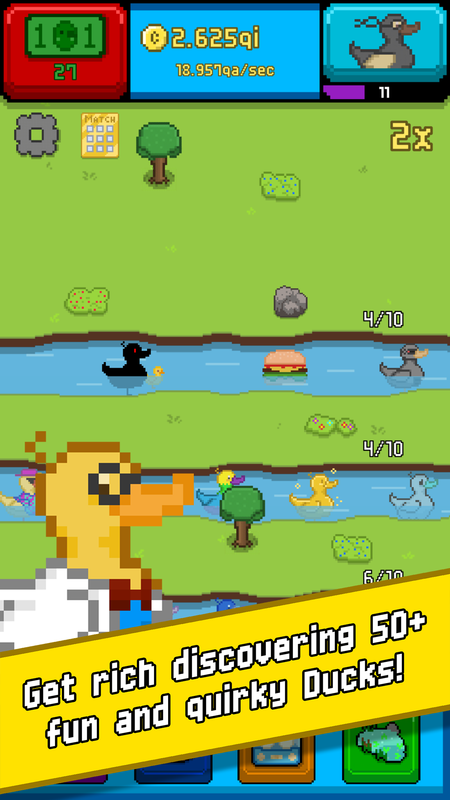 Gain millions, billions even trillions of coins as your cute quirky Ducks swim down the rivers! Start small with one river and one Yellow Duck. Grow BIG as you discover all the wonderful Ducks like the Ghost Duck, Magician Duck, and Ninja Duck as you unlock up to 4 rivers! 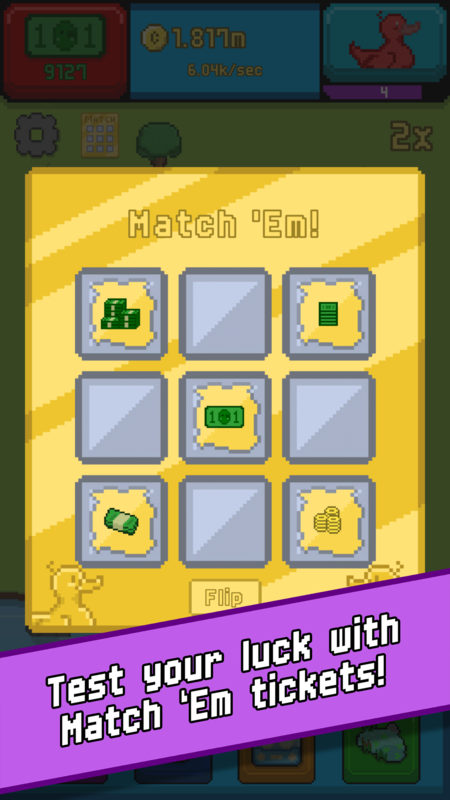 Train your Ducks in fun addictive minigames to make them generate even more coins for you! Ducks aren't making you rich enough? Try spending some time picking the berry bushes to earn coins and find special gifts! Duck Farm! is Yee Studios first project. Originally started as a small project back in February 2018. I got the idea when I saw a game called "Car Merger" on the app store and a video by TairaGames on youtube showing a pixel art duck game. It was originally meant to just be a Car Merger clone with ducks, but over the months it's changed and become the unique and quirky idle game it is now! -Watch your colorful Ducks as they race down the rivers making you rich in coins! -Discover and hatch over 50+ quirky, fun, colorful Ducks! Includes 4+ special multiplier Ducks! 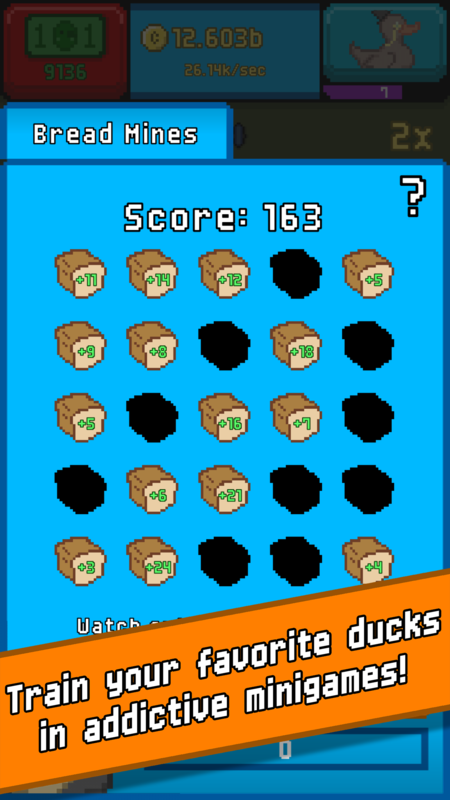 -Train your favorite Ducks in the Duck Pond while playing Bread Mines and Memory! 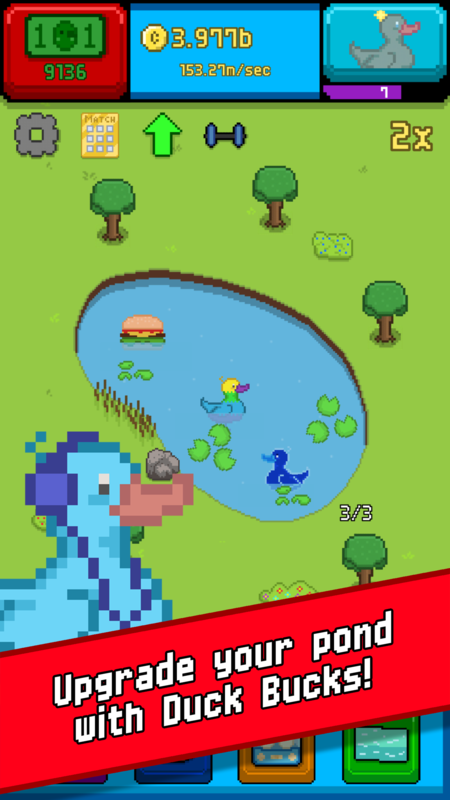 -Collect Duck Bucks to buy special pond upgrades, incubator lamps and more! -Test your luck with a Match 'Em ticket! -Tap bushes to earn more coins and discover special gifts! YeeStudios allows for the contents of Duck Farm! - Fun Addictive Idle Clicker to be published through video broadcasting services for any commercial or non-commercial purposes. Monetization of videos created containing assets from Duck Farm! - Fun Addictive Idle Clicker is legally & explicitly allowed by YeeStudios. 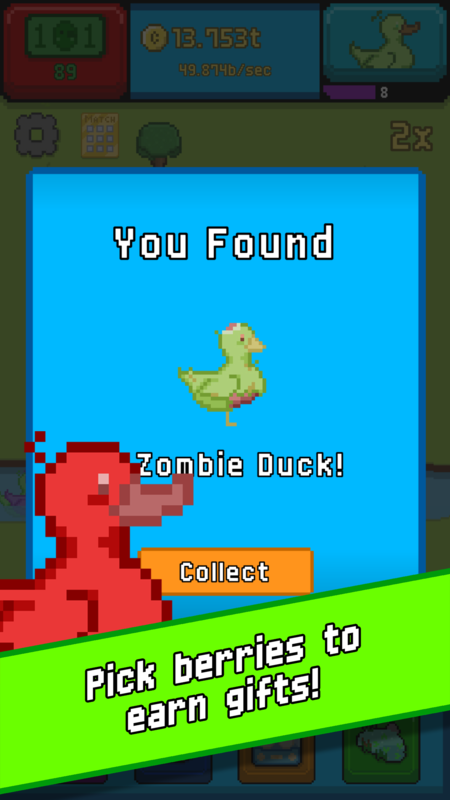 This permission can be found in writing at https://www.slidedb.com/games/duck-farm-fun-addictive-idle-clicker/presskit. More information on YeeStudios, our logo & relevant media are available here.